A Corporate Golf Event is an ideal opportunity to raise and develop awareness of the host’s brand with participants whilst rewarding custom and generating goodwill. Branded marketing assets, designed and supplied by YOB can help to achieve this and our ‘Corporate Experience Model’ provides the structure and means, to not only provide customers with a memorable and professionally staged event but to additionally generate profit on all sales, contributing to an event’s overall revenue stream. The result - a strategically managed approach to staging a corporate event that can competitively differentiate your venue. The most important people in your club – your membership will always take pleasure in a small token of appreciation that distinguishes them as someone special and enhances their Membership Experience. Everyone loves to be appreciated and at YOB we have the product and gift ideas together with the experience to create the most innovative and practical awards for your club. 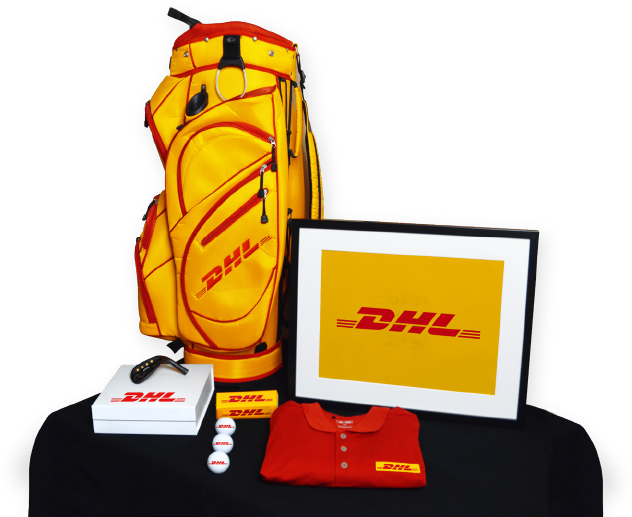 Developing interest and participation in a corporate golf event requires a very focused promotional approach. There are many methods available to market your venue to potential corporate clients - but to make an impact in this highly competitive market you may consider using some of our innovative products to help differentiate your offer to potential hosts. 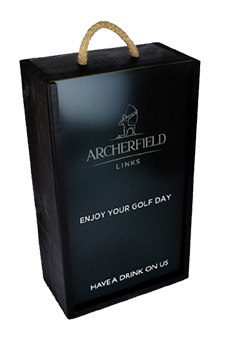 For instance the use of video card technology to introduce and highlight your venue’s amenities or perhaps a bespoke gift box as a gesture of goodwill - an indication of the prestige associated with a golf day hosted at your venue. A vital element in staging any successful corporate golf event is to engage positively and constructively with the host organisation. The planning stages present ideal opportunities to show appreciation of the host’s custom as well as building goodwill ahead of the event. 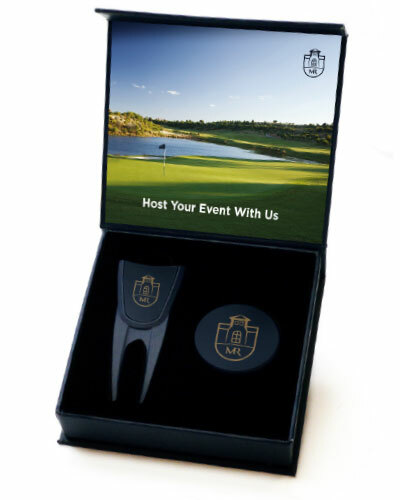 We generally suggest presenting the host with a unique (non-golf) gift that reflects their key role in facilitating the event. We know from extensive experience the vital role that well-presented and considered branded gifts can play in establishing a positive experience. Engaging positively with the host can in turn create the ideal opportunity to discuss and confirm their requirements as part of a pre-order for their event - including participant gifts, prizes and event branding. Our structured YOB Corporate Golf Day Presentations are perfect for demonstrating the full range of available options for positively promoting your venue. Sponsoring or hosting a golf event creates countless opportunities to raise awareness of your brand, generate campaign messages and importantly stage branded photo opportunities – locations such as the clubhouse, the tees, greens, even around the driveway and car park are ideal to capture images of that special day! YOB can provide a comprehensive range of indoor and outdoor ‘Brand Beacons’ for use on and around the course, so clients can create and promote a powerful corporate theme throughout the event and even highlight sponsors for individual holes! 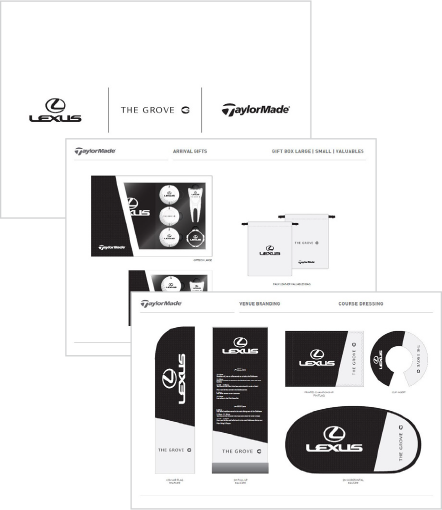 Branded cup inserts and pin flags can consistently raise host and sponsor visibility throughout the course. A Corporate Golf Day offers fantastic opportunities for establishing positive goodwill with invited guests. The invitations, themselves present not only an ideal way to confirm attendance but also help stimulate anticipation and generate excitement for what's to follow. A video business card, featuring a pre-loaded video from the Golf Pro extending a warm invitation to the venue and offering some ‘top tips' on how to play the course’s signature holes. 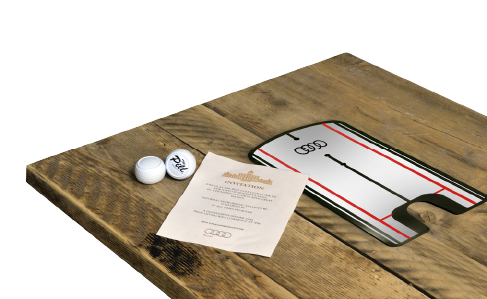 Crested practice aids can be used to encourage guests to 'prepare their game' and when linked to social media aligned with the event can create some fun and pre-competition interaction between invited guests. Putting mirrors and pills make unique novelty invitations and can stimulate pre-event interaction with guests. Venues with concierge and bag drop services offer the ideal opportunity to create an impressive welcome for guests – setting the perfect tone for an unforgettable stay! Where feasible guests can be issued with personalised locker keys as part of their arrival experience - encouraging the use of designated locker room facilities. 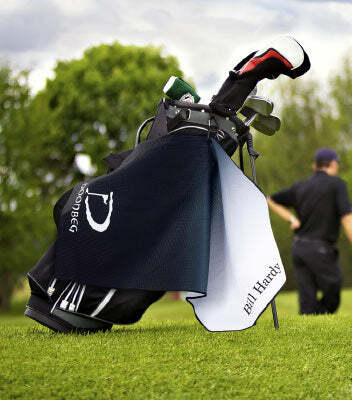 In addition golf bags that are 'dropped' can be enhanced with personalised towels and bag tags – a pleasant surprise for guests as they collect their bags on the way to the first tee. The Registration process invariably features enticing refreshments and functions as a traditional setting for presenting ‘Welcome Gifts’. However, with players often so pre-occupied with introductions, enjoying the refreshments and preparing for that important first tee - the gift is often overlooked. We therefore strongly recommend presenting gift items that are both useful and distinctive during registration to create more impact and interest. This is also the optimum time to present golfwear giving guest players time to change and wear the clothing during the event. Gift boxes also help to make a statement on arrival – allowing guests the opportunity to immediately use the items without having to carry the packaging around the course. If your Corporate Golf Day includes overnight accommodation for participants then we have an extensive range of ‘In-Room Experience’ gifts that are guaranteed to surprise and delight your guests – the perfect opportunity to extend your brand experience. Why not designate part of your Locker Room for your corporate guests, branded and signed to welcome your guests whilst at the same time reinforcing branding? 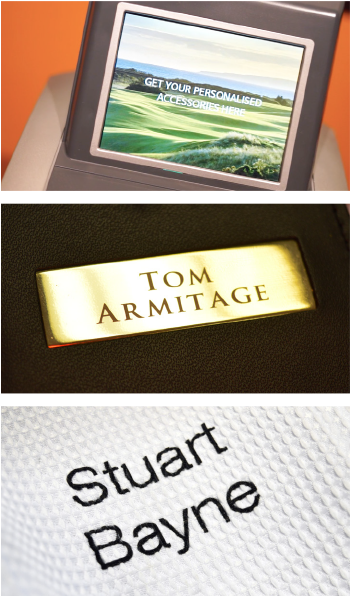 Personalised nameplates direct guests to lockers pre-equipped with towels and complimentary toiletries. 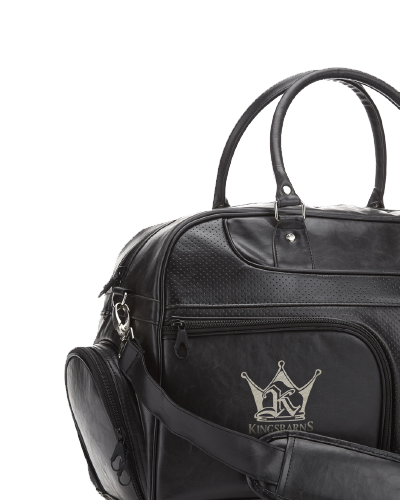 Inside each locker are lightweight personalised suit carriers for guests to both use and keep post-play together with bespoke lightweight shoe bags, shoehorns or shoe care kits. 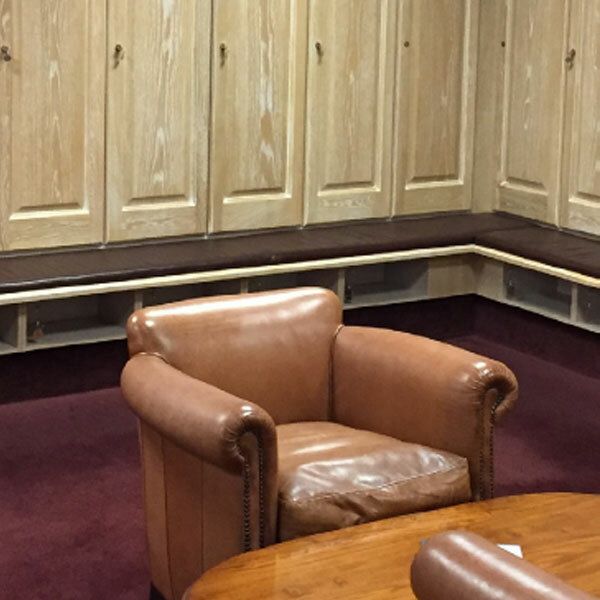 Establishing the right ‘Locker Room Experience’ can set the scene for a memorable VIP corporate event – creating that Golf Day with a difference! Carefully designed ‘crested’ products and gifts go along way towards creating a delightful experience for event participants. Top quality crested items, tastefully presented can have a very positive impact on guests who will readily appreciate the understated quality and attention to detail inherent in our high quality merchandise. YOB has a wide range of ‘crested’ items to help personalise your guests’ Range Experience, creating a lasting impression of a great golf event. 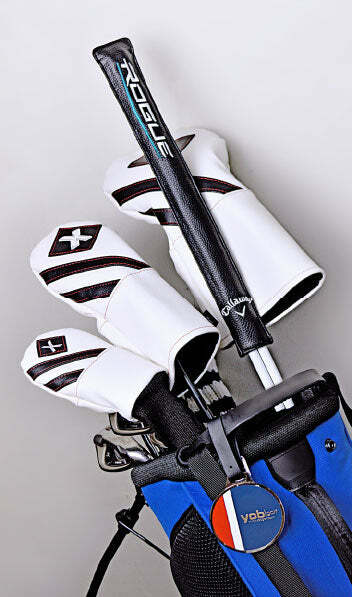 YOB has a wide range of gifting solutions that can feature throughout play and around the course itself. These more flexible options encourage hosts to explore new ideas and formats, all of which can help differentiate their event and add variety to the day’s experience. Relaxing, post-play can be the most memorable part of a Corporate Golf Day - informal networking and socialising offer rewarding opportunities for branded gifting in more a relaxed social setting. Prize tables are a traditional post-play feature and present a perfect occasion to feature higher value ‘crested’ gifts or retail branded items. Departure presents too are great way of thanking your guests for attending and help extend a positive and lasting impression of the day. 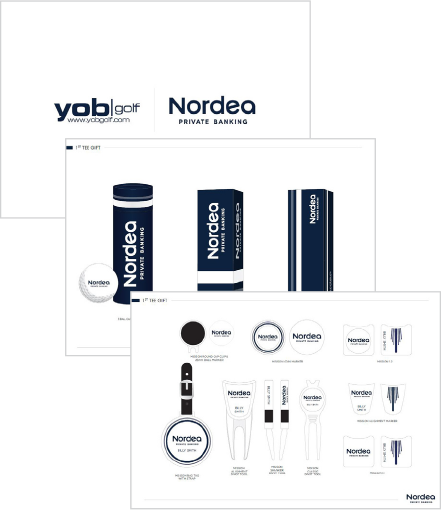 To create that totally amazing Corporate Golf Day Experience, YOB has developed a series of instant ‘virtual-presentations’ for corporate clients to create a visualisation/proposal of the available products options featuring ‘own logo’ branding. 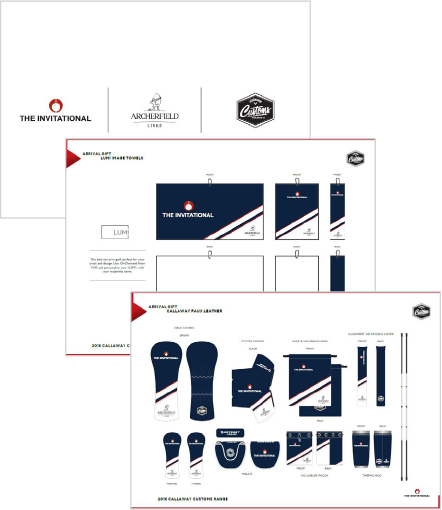 In addition to our own white-label ranges, we can now exclusively offer corporate clients the option to co-brand Callaway or TaylorMade products with their own logo or event crest. Step 1 - On client booking confirmation return a completed presentation featuring the client’s logo, as part of the confirmation process, reinforcing the value of high quality merchandise in creating a successful event. Step 2 - Eight weeks before the event date send a reminder email to clients, making sure that they have considered the minimum recommended items for use on the day, include the previously formatted presentation of ideas plus an event checklist. Step 3 - Four weeks prior to the event date (regardless of whether they have already ordered items) send a final, last chance checklist to ensure that the client has considered all the available options and has a final opportunity to order those last minute essentials. 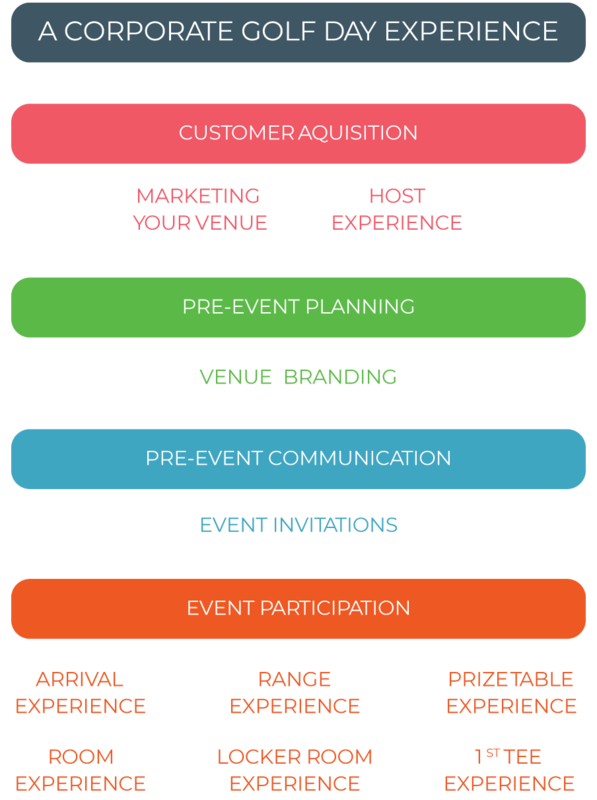 By following these steps you not only help ensure that your client enjoys the best possible event but that you get the chance to maximise sales. 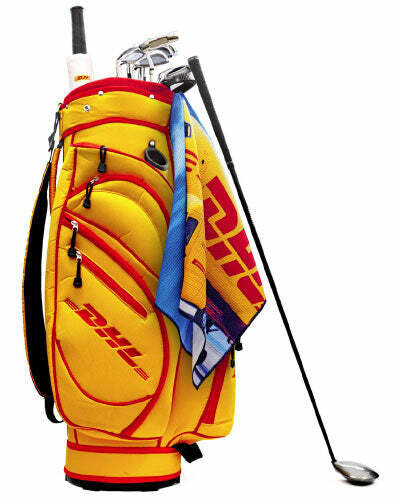 New for 2018 - a unique range of high quality corporate golf accessories from the biggest name in golf. Logo your own customised range of callaway customs accessories and create your own professional corporate golf day experience. For venues that want to grow and develop a unique persona, staging a memorable and exciting ‘Event Day’ is an important activity. With this in mind, YOB offers a variety of 'Personalisation' options, whereby gift items can be personalised at the venue with the participant’s name, commemorative score or fun message. Speak to our experts about how to integrate YOB’s on-site personalisation service as a feature of your Corporate Event. Recognising the most important people in your club with; a gift, a token of appreciation, something that distinguishes them, is an important part of the Membership Experience. Everyone loves to be appreciated, and at YOB we have the product ideas and the experience to design the most practical awards for your club. 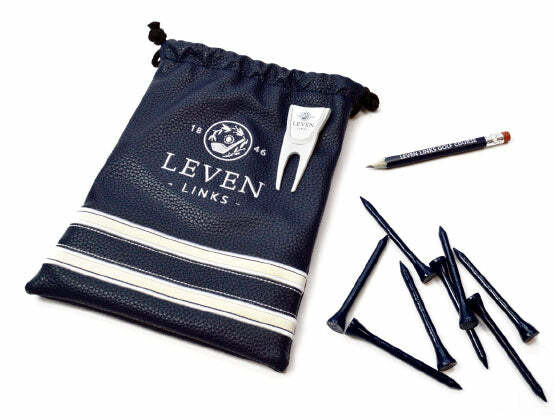 Membership Gifts are part of our suite of 'experiences' designed to help your club optimise its' commercial activity. Our experts work with clubs all over the world to develop experiences that delight, excite and define the golf clubs that we work with as leaders in their field. Clubs of all sizes and profiles work with YOB to improve what they do, to increase participation, yield and to recruit advocates of their club. To find out more, get in touch and lets discuss how we can help your club make the most of its' opportunities.